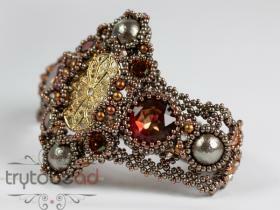 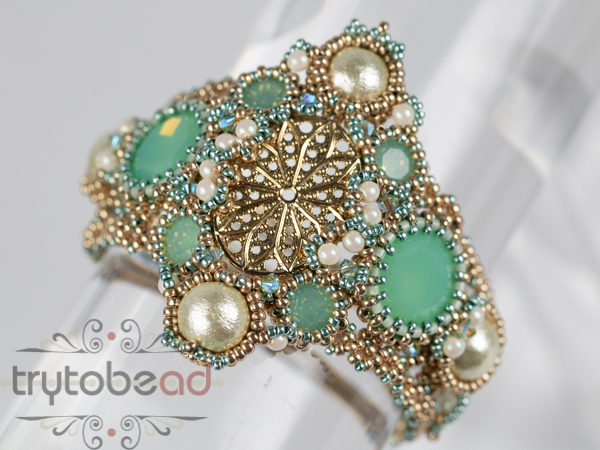 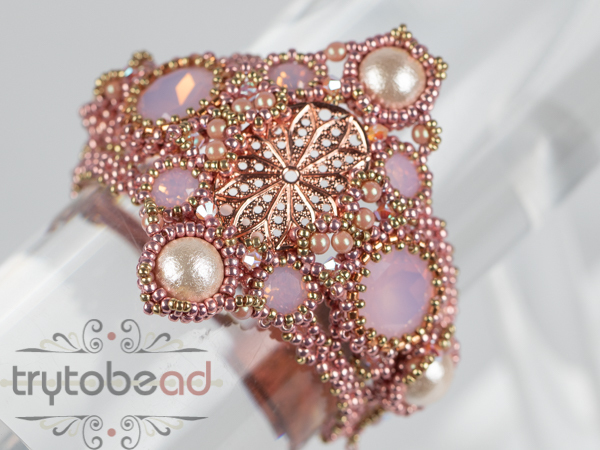 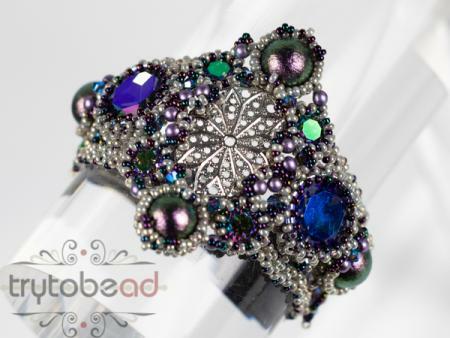 This bracelet was inspired by the gorgeous jewelry of the beginning of the 20th century. 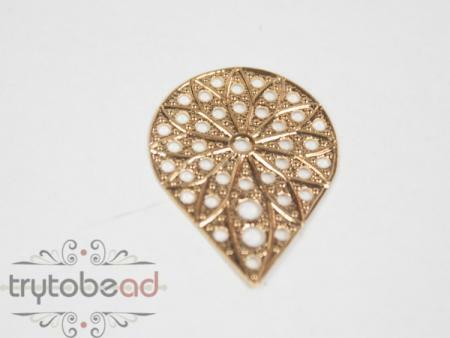 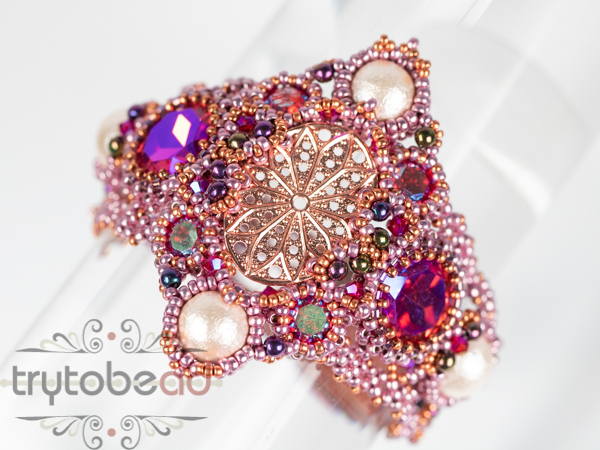 The center is a filigree, surrounded by sparkling stones. 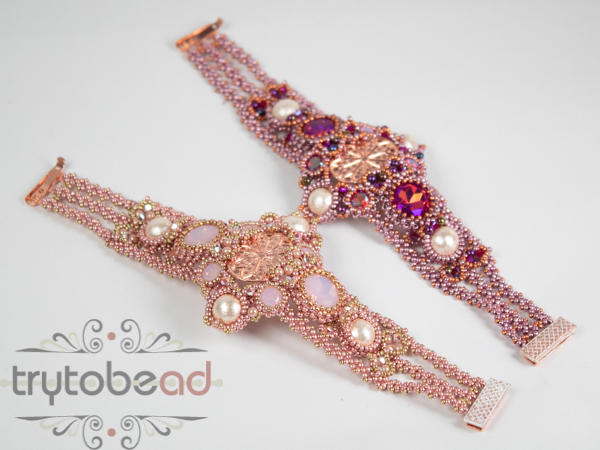 The pattern includes 25 pages with many drawings and illustrations. 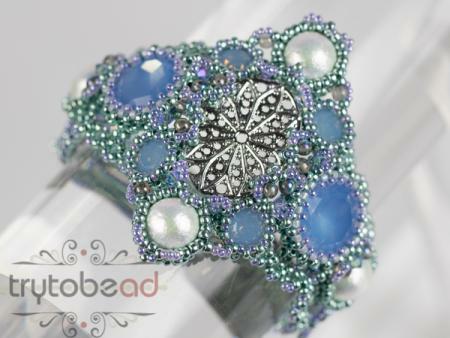 Basic knowledge in RAW and Peyotestitch are required. 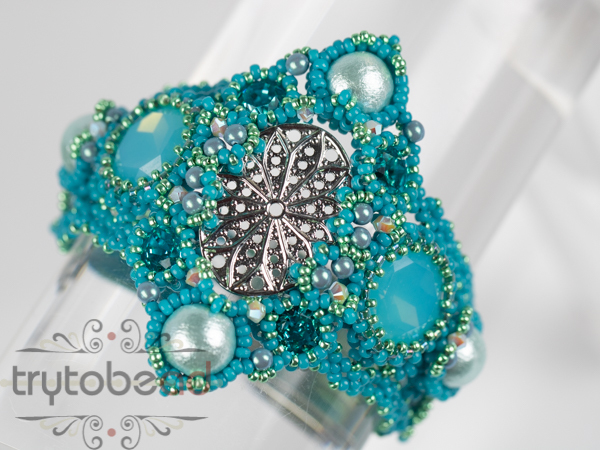 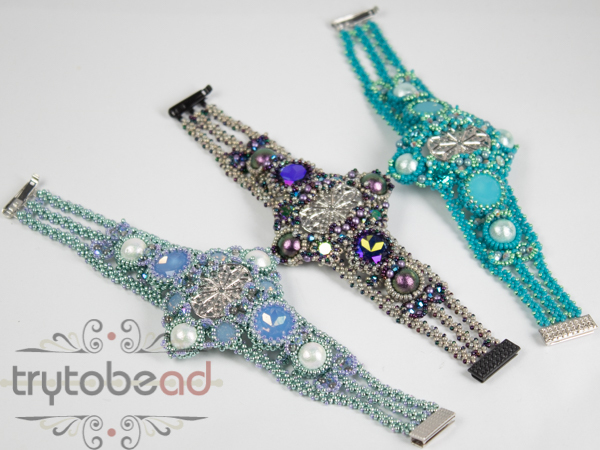 The matching kits for the pattern include all the beads and components for one bracelet up to 22 cm lenght.